It’s been a very sweet and sour beginning to the 2017 recruiting class for Kansas. Back in July, the Jayhawks were dealt their first recruiting blow when #2 overall recruit Michael Porter Jr. opted to play for Washington. KU was long seen as the favorites in his recruitment until Huskies coach Lorenzo Romar (Porter’s godfather) hired Michael Porter Sr. as an assistant coach. Shortly after the hiring, Porter announced his intentions to be a Husky. Things took a turn for the better at the beginning of August when the No. 62 ranked recruit in the nation pledged to be a Jayhawk. Marcus Garrett, a 6’6″ point guard from Dallas, became the first member of the Jayhawks’ 2017 class. Garrett is a tall and very athletic point guard who should ease the transition next year after losing Frank Mason III (and more-than-likely Devonte’ Graham, too). Then at the beginning of September, the Jayhawks were dealt another big blow when consensus #1 overall recruit DeAndre Ayton committed to Arizona. KU was considered a heavy favorite and even secured 100% of the crystal ball predictions on 247.com, but Ayton opted to stay home and play for Sean Miller. Point guard; 6’3″, 175 lbs. Collin Sexton is a dynamic point guard that Bill Self would love to have join the team next season. Sexton has that “alpha-dog” quality that makes him a nightmare for opposing defenses. He loves to use his explosiveness and quickness on both sides of the ball. He does have a streaky jump shot, but that does not stop Sexton from getting his. When his jump shot is not on, he will find other ways to score. Sexton reminds me a lot of current KU PG Devonte’ Graham. Kansas will have to beat out Alabama, NC State, Oklahoma State, and Iowa State for his services. Sexton’s last official visit is scheduled for this weekend for Late Night in the Phog. I think momentum is currently in the Jayhawks favor, and scoring the last visit is huge. Point guard; 6’2″, 170 lbs. Trae Young is a high-scoring PG that any team in the nation would love to have. He differs from Sexton in a few ways. Young doesn’t have the explosiveness and speed that Sexton has, but he has a much better jump shot at this point. Young can drain jump shots up to 22 feet out with consistency. He is one of the best scoring guards in the country. He excels in the open floor. He has great vision, and he can create points for his team by dishing it off to one of his teammates or pulling up for a jump shot. Young has had all of the top programs after him, but there are a few schools that stand out. Young’s final five is Kansas, Kentucky, Oklahoma, Texas Tech, and Oklahoma State. I think Sexton ends up at Kansas, which will knock KU out of the running for Young. I think this will ultimately come down to Oklahoma and Kentucky. Small forward; 6’6″, 210 lbs. Troy Brown Jr. is a very long small forward with a tremendous ability to score the basketball. He is a great athlete and is very good in transition. Brown has a decent jump shot, but he really excels when driving the ball. Brown has shown a great ability to finish at the rim and has a decent floater that can cause problems for the opposing defense. He needs to continue to develop his jump shot to become more consistent. His shot reminds me a lot of Josh Jackson, currently Kansas’ starting small forward: low release without a ton of consistency. Overall, Brown is a top-level prospect that HCBS would love to have on the team next season. Brown is very good friends with Collin Sexton, an elite point guard. Both visited Alabama together, much like they’ll visit Kansas together for Late Night. Brown lists Kansas, Alabama, Georgetown, Ohio State, and Oregon on his short list. While he will still visit Georgetown after the KU, I think Kansas makes the biggest impact and he ends up joining Sexton in Lawrence. Power forward; 6’10”, 230 lbs. Billy Preston is a big talent in the 2017 class (literally and figuratively). Preston is a big boy that can create a lot of damage within 10 feet of the basket. He is a great rebounder, and he finishes very well at the rim. Preston also has the ability to face up and nail a jumper in the face of the defense. 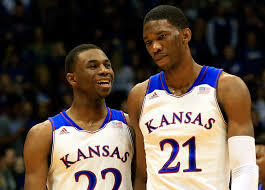 His good qualities remind me a lot of former Kentucky Wildcat Julius Randle. However, Preston does show his immaturity as a player sometimes. He needs to let the game come to him from time-to-time; he tries to rush things, which can lead to bad jump shots, and he often dribbles too much in traffic, frequently leading to turnovers. Overall, Preston is an absolute stud. He has things you can’t teach, and his weak areas are very teachable. Preston will take his first official visit to Kansas during Late Night. 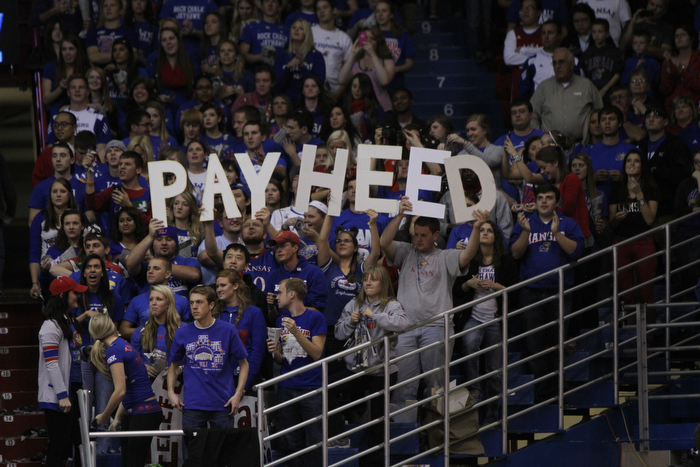 KU is right there for Preston, but they will have to overcome a hometown favorite to land him. He is originally from Los Angeles and a lot of analysts believe he will end up at USC. 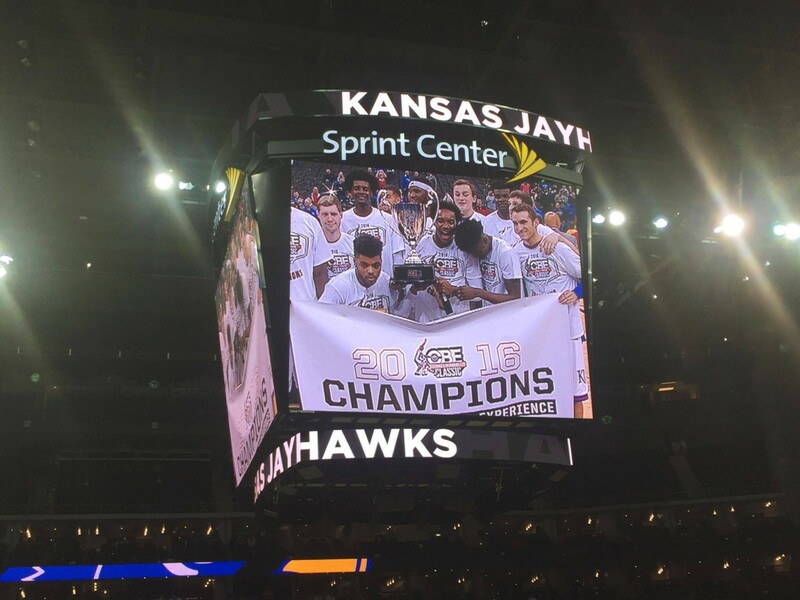 I think KU is a game-changer, but I don’t think I can predict Kansas at this point. Indiana, Maryland, and NC State are also involved with Preston to make up his final five. For now, I’m going to lean towards the way of other analysts, but his recruitment has a long way to go. Power forward; 6’8″, 200 lbs. Shooting guard; 6’5″, 210 lbs. 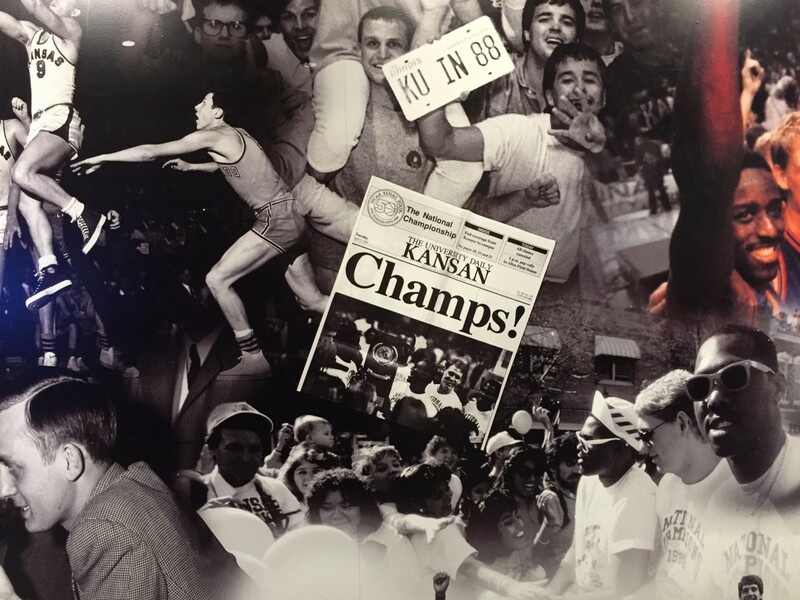 Early Prediction – Wake Forest if Troy Brown commits to Kansas, but Kansas if Brown does not. Power forward; 6’7″, 260 lbs. Power forward; 6’11”, 210 lbs.